There are many resources available to help plan your deployment of Virtual SAN. David Davis has an amazing PluralSight course on VMware Virtual SAN that I highly recommend. If you haven’t checked out PluralSight it’s an amazing service! First we must setup the physical environment for VSAN starting with the disks. This part is near impossible to create documentation that will work in every environment as it is hardware dependant. I will walk you through my environment so you can see the process and compare to your environment. The end result is you want your disks to have no partitions and able to be seen by VSAN either by passthrough or RAID 0. Since this is my home lab two of my I/O controllers and my all of my SSDs aren’t on the VSAN Compatibility Guide. If you are deploying VSAN in a production environment you will want to ensure everything is on the Guide. The PERC H710P Mini I/O controller does not support passthrough mode and will have to use RAID 0. 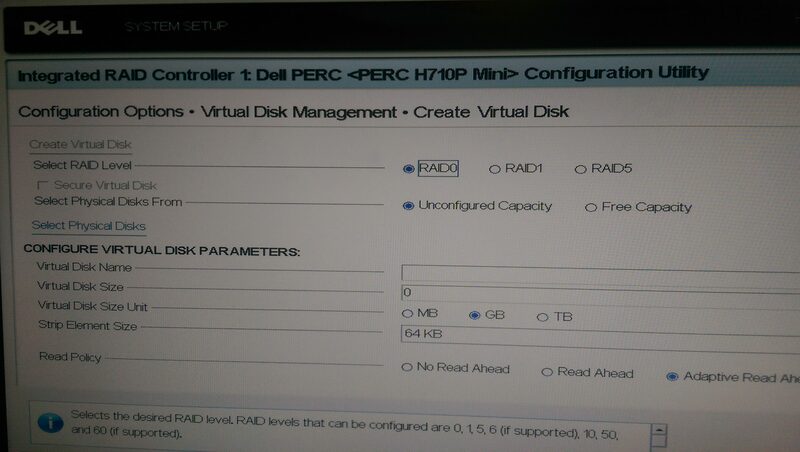 In the Dell PERC Configuration Utility I created a RAID 0 virtual disk for each physical drive. This is what the end product should look like. Each disk should be in its own RAID 0. 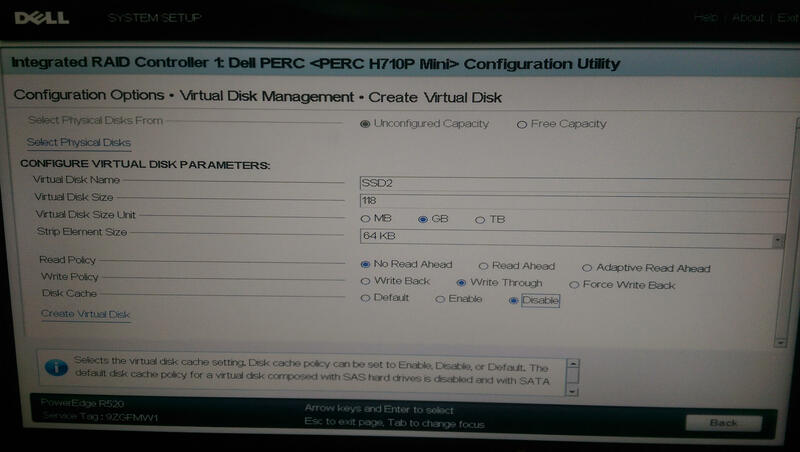 The PERC H710 Mini I/O controller is not on the VSAN Hardware Compatibility Guide but has the ability to do disk passthrough. 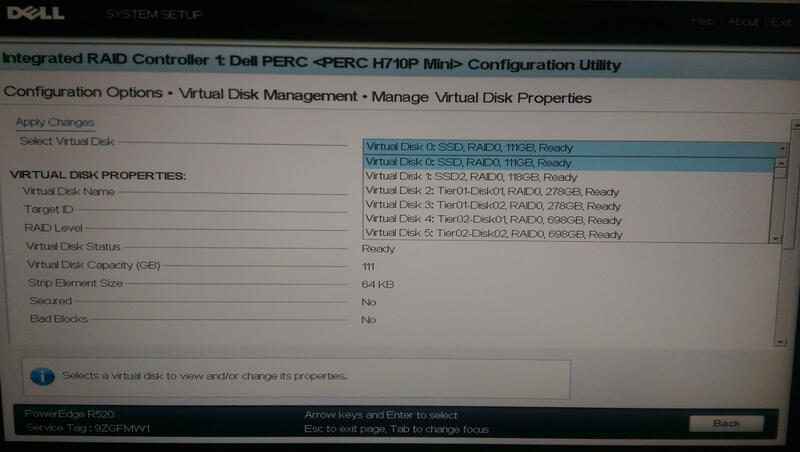 For passthrough you will set each disk to Non-RAID in order for ESXi to see the storage. It will inform you the disk will be formatted. Hit enter on Yes to proceed. Once all your disks show Non-RAID ESXi should have no issues seeing them. If you used RAID 0 to setup your storage your flash disks will show up as HDD. 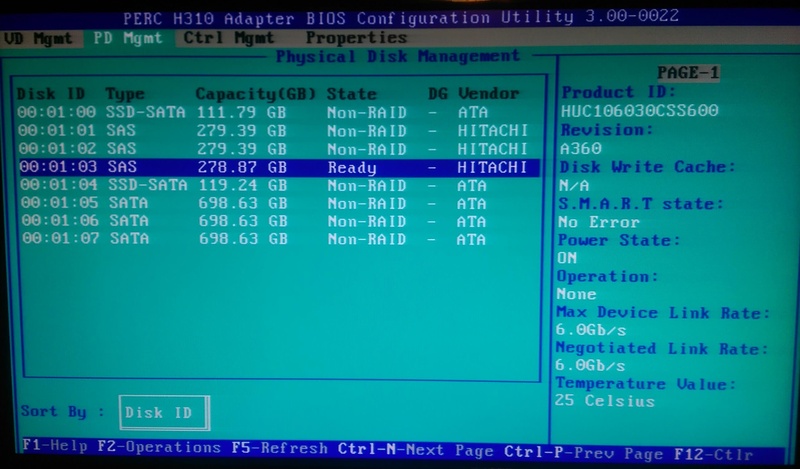 The reason for this is when the disk was configured for RAID 0 it masked the information about the drive. There is a way to mark them as flash though! Select the disks that are you flash drives. Click the button below to mark the selected disks as flash disks. Now the drives show up as Flash. Great article! I have a question 😉 I am about to purchase 3 Supermicro Superservers to setup my lab cluster at home and will be using VSAN only for storage. Normally when you use disks in an ESXi datastore that are NOT connected to a RAID card (that has cache/battery) the write performance is awful. When speccing a VSAN server, do you need to consider a RAID card with cache/battery to give you good write performance? Is a RAID card needed at all for a VSAN server? Also, is there a difference between using an HBA or RAID card in a VSAN server from a performance point of view? I ‘ll be using SATA SSD drives for capacity and a single PCIe NVMe SSD for caching in each server. Bob, I think you probably already got your Superservers by now, and if so I think you made a good decision. (I have one in my production VSAN and it works great! Wish I had more, most of my hardware is old/junk.) 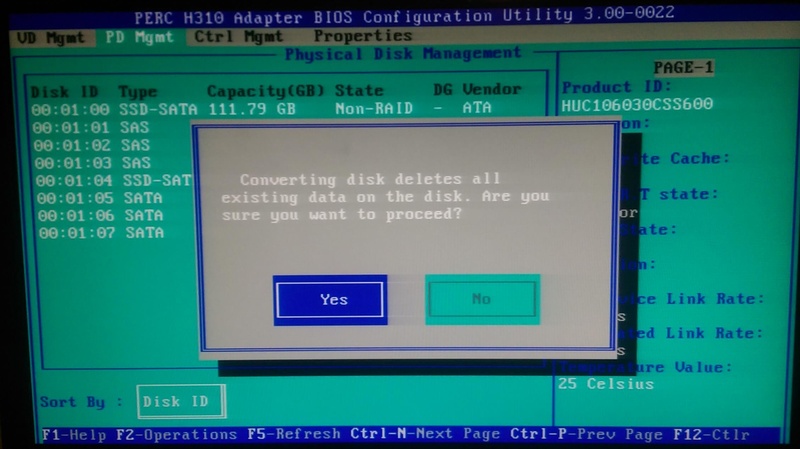 The important thing about choosing a RAID card vs HBA is that if you pick the wrong RAID card, if it is missing a JBOD or “passthrough” mode, then you won’t be able to swap out bad drives without putting that host into maintenance mode and taking it down first. I don’t have any HBAs, but I think if you had one from the HCL that supports a decent rate of IO throughput, you should be in good shape. 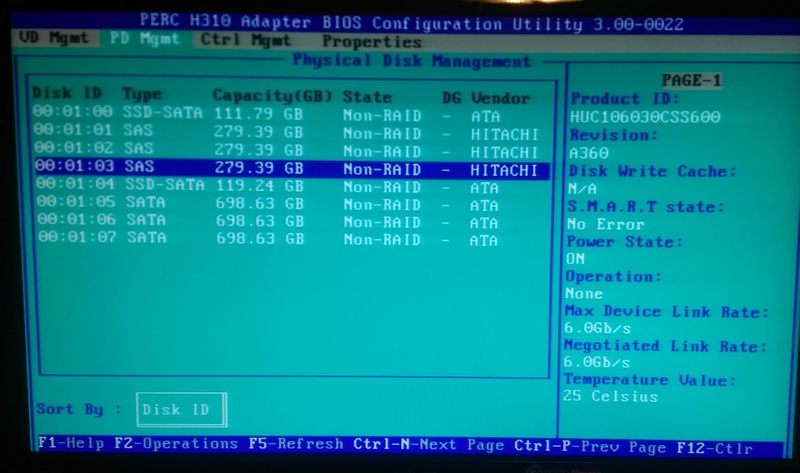 If I were starting now, making my shopping list for data center from scratch, I think I would be in the market for HBAs instead of RAID cards. We also had issues with the RAID card performance and had to migrate them to HBAs as vendor didn’t had HBA with them initially, so we had to place order and wait for them to arrive.